If you’ve ever tried to find a place to make you a designer t-shirt for your family vacation, you know it’s hard to find one that will print official Disney characters. One online t-shirt manufacturer said that Disney is so stringent on its copyright and more than willing to take a company to court over copyright infringement that they just avoid it all together. Does that mean all hope is lost? Not at all! If you want a quality t-shirt with custom print and a Disney official logo – well, there’s nowhere else to go like Design-A-Tee at Downtown Disney Marketplace in Orlando, FL. You might think with such a monopoly on the market of official Disney characters and copyrights that the prices would be unreasonable, but that’s not the case. Does it cost more than say a typical t-shirt from your local clothing store? Sure, but not more than you would pay at any amusement park and less than if you went to a concert or Broadway show. The price is pretty reasonable considering what you get and the experience you have while getting it. 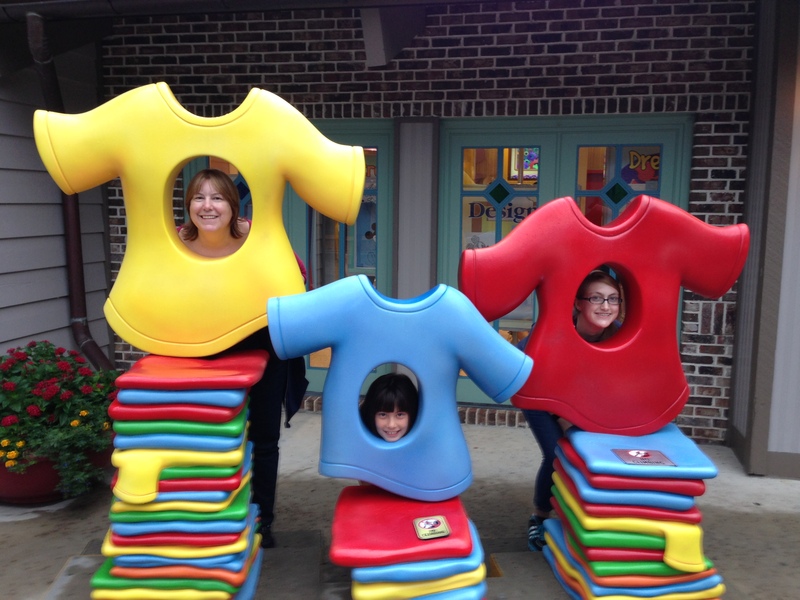 The Design-A-Tee store is situated in Downtown Disney Marketplace near the Christmas shop and the scrapbooking store so it’s a little off the beaten path, but go and take a look and find out what the hubbub is all about. 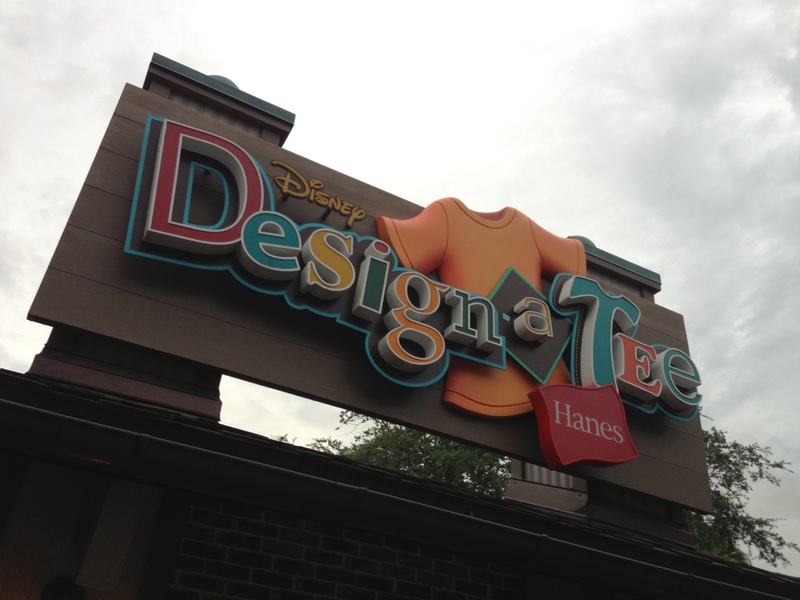 At the Design-A-Tee store, you get to custom make your own Disney shirt selecting from a humongous variety of options including characters, banners, custom logos, etc. Birthdays, anniversaries, family reunions – you name it and they probably have a design for it. You can also add custom text to your shirt both above and below the graphic you select. 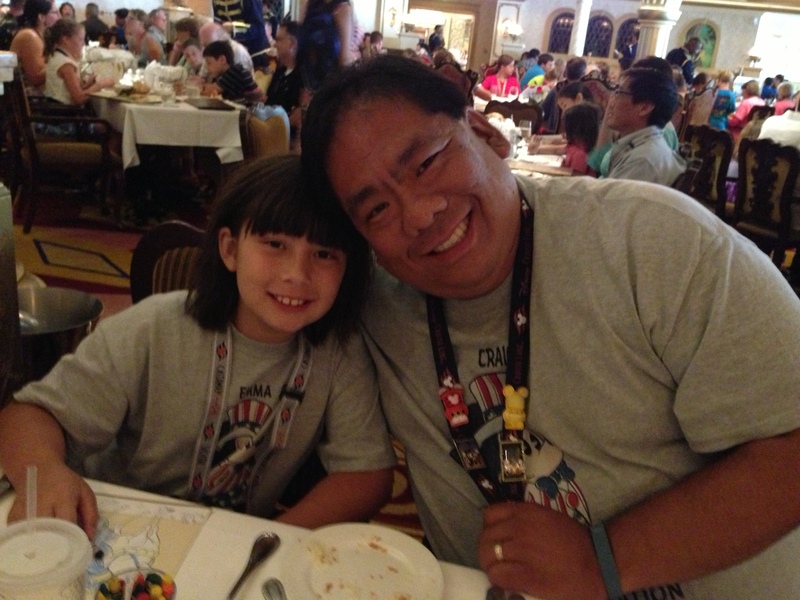 You are limited on the number of character spaces per line, but it was more than enough for us to boldly proclaim our 2013 family vacation at WDW and the Disney Cruise with our names individually printed on each shirt. One of the great things about the shop is that they have all the colors and sizes on display and you can try them on over your garments to get an idea if they will fit or not. Be warned though that many people try them on so the sizes might be slightly larger than actual (due to stretching) – but not by much. Once you’ve picked out the type of shirt, color of shirt, design, and text, it’s time to get your shirt made! Submitting your order from one of many available kiosks is easy and if you have any problems, there are many cast members around to help you out. Once submitted, take your ticket to the front and pay for your t-shirts and in less than an hour you’ll have your custom order ready. When you come to pick it up, they show it to you to make sure it’s what you had ordered and then neatly fold it and pack it away in your choice of Design-A-Tee bags. They have many colors to choose from and it simply makes for a nice additional souvenir on top of the cool shirt you’ve already designed. The quality of the shirt (all Hanes products) is very good and the printing has been more durable than you might expect. The lasting power of the print is certainly better than an iron-on applique and each shirt has lasted through many a washing cycle. 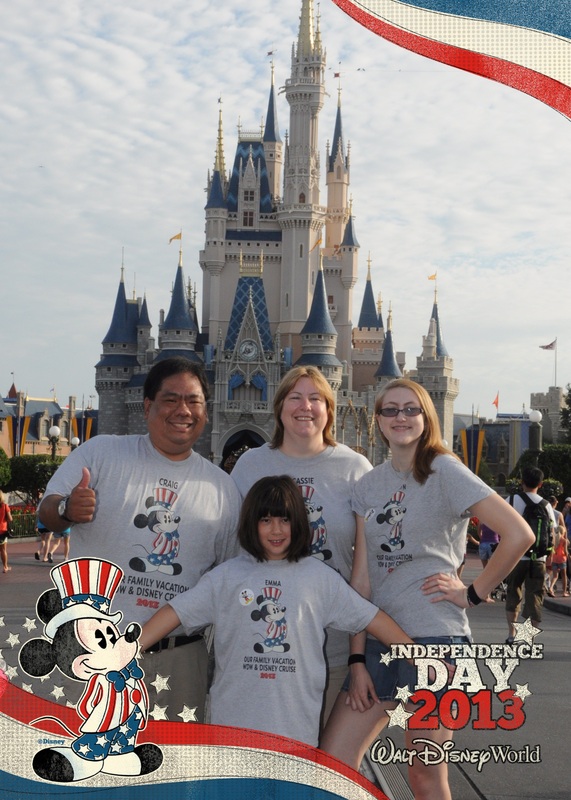 All in all, we’ve been extremely happy with our custom souvenirs that remind us of our fun family vacation – and they make for great pictures, too! Next Next post: Halloween Time at Disneyland is Rockin’ and so is Mickey’s Halloween Party!